1) Recently we see a lot of your little cute Sahara feeding on your Instagram, what are your other favourite apps do you currently use now? I have a few actually, but currently they are mostly shopping apps like Zalora, ASOS and Urban Outfitters because I’m such a crazy ‘window shopper!’ I used to do a lot of videoediting though, and with that my favourite few apps are: Videoshop, Chromic and Gravie (for graphics). 2) How do you stay positive despite your busy schedules, especially now that you’re a mom? As cliche as it sounds, when I see Sahara and her daily antics, it pushes me to be better for her. Everyday she is growing and learning, and she learns from what she sees, so I have to make sure all she sees is positivity. That is my ultimate responsibility. 3) Describe your style sense. Individualistic. I’ve never regarded myself as fashionable honestly. For me, comfort is ultimately, priority. Your personality should be your fashion piece. I would love to be Storm from X-men. How cool is it to have awesome hair like that? =) Have always wanted to know what it feels like to be a superhero.5) What was the last thing that scared you? Unfortunately, a photo of dead children that someone sent via Whatsapp. There are just too much cruelty in this world and it needs to stop. 6) Last words from you to other aspiring individuals.. If you really want something, but it doesn’t come to you, it’s probably never meant for you to begin with. So, don’t force it, and don’t fret. Our lives are made of discoveries, we just need to figure out what we’re actually meant for. But remember, that it is not only the things in life that we look forward to that is of importance, but also what is already in our lives that we should treasure and appreciate. Because, they equally matter. 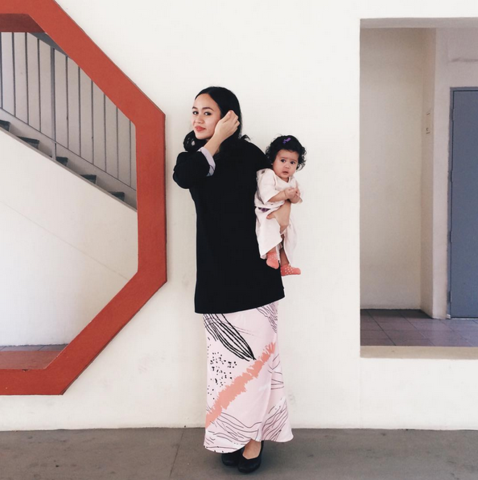 Head over to our latest line of essentials as seen on Fiza!